I’m a big fan of both The Platinum Card® from American Express and The Business Platinum® Card from American Express. If you travel with any frequency I think it’s worth having either one card or the other, and for some people it can even make sense to have both. 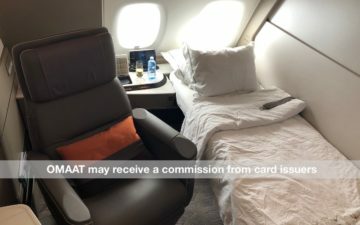 While I’ve written a detailed review of the card in the past, in this post I wanted to share seven things I love about the Amex Business Platinum Card. The card offers a $200 annual airline fee credit. This can be applied towards fees and incidentals on your designated airline. Based on how I’ve been able to use this credit in the past, I think it’s nearly worth the face value. Keep in mind that you can get two of these credits before you pay your second year’s annual fee, since they’re based on the calendar year rather than cardmember year. The Amex Business Platinum Card offers 10 Gogo wifi passes per year, each of which is valid for wifi on one flight. This includes wifi on international Gogo equipped flights, as well as on 2Ku equipped flights. This benefit isn’t available on the personal version of the card, and I know many people value this at $150+ per year. This card gets you access to Amex Centurion Lounges. 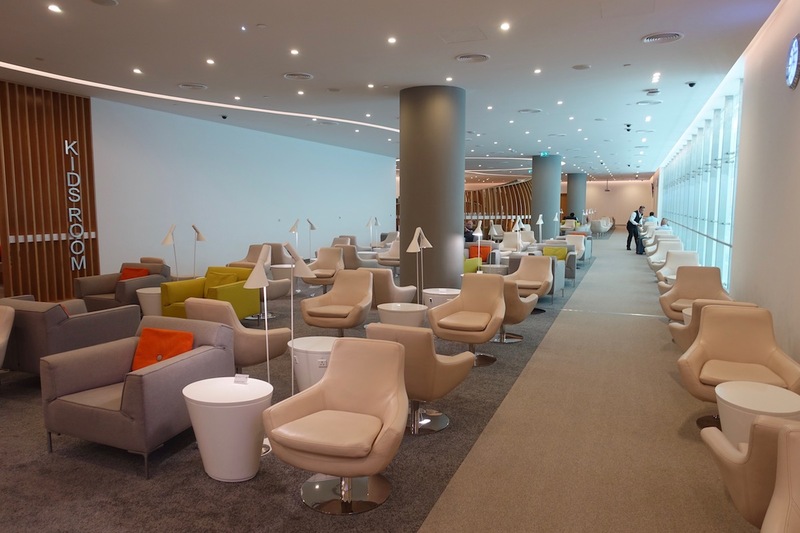 You can bring in two guests with each visit, and access these lounges regardless of which airline you’re flying. 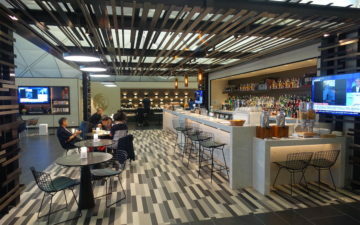 US Centurion Lounge locations include Dallas, Houston, Las Vegas, Miami, New York, Philadelphia, San Francisco, and Seattle, and a lounge should be opening next year at New York JFK. Those with the Amex Business Platinum Card also get access to Delta SkyClubs in conjunction with a same day ticket. The catch is that there’s a cost of $29 for each additional guest you bring in. Cardmembers receive a complimentary Priority Pass membership, which gets you access to the world’s largest network of independent airport lounges, with over 1,000 locations around the world. You can bring in two guests with each visit. Not only does this open up lounge access at a lot of airports where you may not otherwise have access, though this also gets you free food and drinks at some airport restaurants in the US, including in Denver, Lexington, Miami, Portland, and St. Louis. On top of that, for those with excellent credit, I find Amex business cards to be easy to be approved for. Anecdotally most people I’ve heard from have reported instant approvals on this card, so it really shouldn’t be very tough to be approved, even if you haven’t gotten many business cards in the past. The Amex Business Platinum Card is a well rounded business card. If you value the airline fee credit and Gogo passes then this card will cost you next to nothing out of pocket. Add in the fact that the card is fairly easy to be approved for, that this doesn’t count towards your Amex credit card limit, and that it won’t count against you for the purposes of the 5/24 rule, and that makes this card even more compelling. Off topic but are you not going to talk about the Hilton Aspire card until you have a referral link? Would like to hear your take on that card. Seems like there are some limitations on how the different credits work. I have the card and really like all the perks you cover. I’ve used it for access to all 3 lounges you mention over the last year. I even got the 100K bonus when it was available. All that stated, I will be dumping this card and applying for the personal version. Why? You must go thru the amextravel.com portal if you want 5x points for your airfare purchase. In general, amextravel.com is rough to deal with. 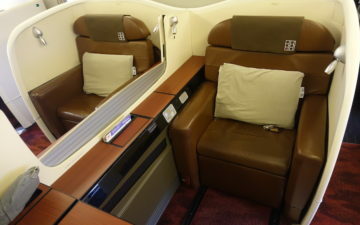 Usually more expensive, slow, clunky and they don’t offer many foreign airlines on their site. If you’re interested in writing about the frustration of trying to book thru that website, I’d be happy to contribute. @lucky I know you love Priority Pass quite a lot, but have you ever considered using DragonPass? Do you have it or have you heard of it? I would love to read your review about it. Think the Ameriprise Amex is better. Wonder why none of the bloggers really talk about it. Just sayin. I like my AMEX Bus Plat for the 1.5 MRs on purchases over $5k, as well as their random offers you may get for hitting spend requirements through out the year. Last year i got a random spend $10k in 3 months, get 50k MRs.
Why do you no longer mention the perk of the points rebate one gets from using MR points for plane reservations in premium cabins and on a preferred airline? Does the rebate drop from the original 50% to the new 35% no longer make this a perk worth mentioning? @Lucky – got the Amex Business Gold through one of your links around this time last year, my first foray into the world of points on the business side of things (26 y/o founder). We did about $200k in spend on it in 2017, so it worked out quite nicely. If I were to apply for the Business Platinum, would I a) be eligible for the 75,000 point signup bonus and b) would I be able to link the company’s current Membership Rewards account to this new card, and have the signup bonus and all newly earned MRs end up in that account? Excuse my ignorance – just would appreciate some guidance. @JP in Chicago …. yes … I have my personal and business Amex cards all tied to the same MR account …. a personal Amex Plat, Amex Blue Biz Plus, Amex Busines Gold …. and yes, all three of your questions are true.